Easter is coming this Sunday, April 21, and the finest chocolate eggs, cupcakes and candy can be found at Rockefeller Center. Check out these favorites to fill your Easter basket, and swing by on Sunday to share in the fun: brunch, the parade up Fifth Avenue, a new Channel Gardens display, and an egg painting party at FAO Schwarz (where plush bunnies and other gifts are available too). 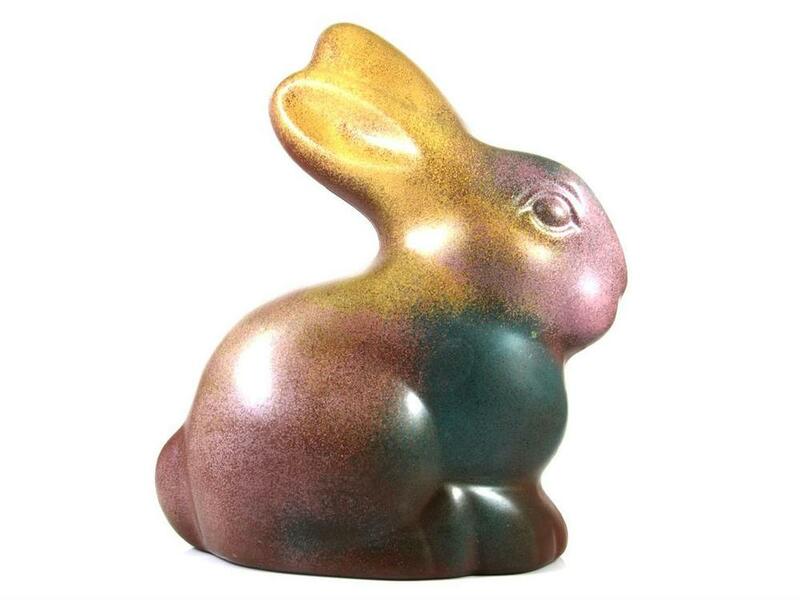 Jacques Torres: This French chocolatier is rolling out lots of fresh offerings for 2019, including a limited edition Easter bonbon box with new flavors, oversized chocolate eggs and contemporary bunnies, chickens and eggs inspired by the colors of graffiti and Brooklyn brownstones. Check out more traditional treats and baskets as well. Bouchon Bakery: Decorated sweets are a specialty at this bakeshop by chef Thomas Keller. For some happy springtime vibes, celebrate with egg-shaped cookies frosted with a bunny peeking up against a pastel background. Le Maison du Chocolat: Praline eggs, handmade bunnies and dark and milk chocolate fishes are some of the artisanal delights awaiting at this chocolate shop. A gift box or giant rocher chocolate egg filled with treats is another way to spread the Easter love. Magnolia Bakery: Chocolate and vanilla cupcakes topped with buttercream icing, chicks, eggs and other multicolored Easter decorations will be the main event at this line-around-the-block bakery. Order a dozen in advance for pick-up or delivery. Sugarfina: Go for candy with a modern look at this hip sweet shop in the Concourse. Fruity sour gummy bunnies, orange-flavor baby carrots and pink bunny bark are some of the new classics, and the Easter candy cube bundle makes for a crowd-pleasing quartet. Teuscher Chocolates: Along with chocolate bunnies and eggs, this Swiss chocolate maker celebrates the holiday with uniquely decorated boxes in the form of bunny characters. What's more, a spring special is running right now for the grown-ups at your party—buy two boxes of Champagne Truffle Pearls and get the third one free.